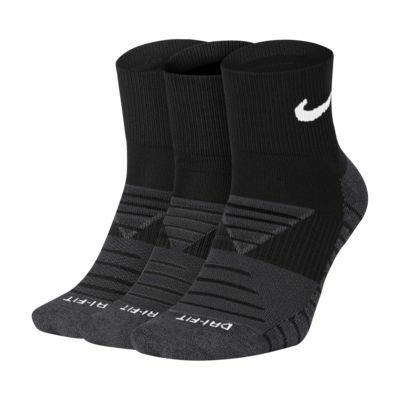 Made with strategically placed cushioning, the Nike Dry Cushion Quarter Training Socks offer exceptional impact protection during your workout. Really resilient and comfy socks. They hold their shape well and don't seem to suffer with bobbling. Bought a few packs and also the lower cut ones for summer. Size 10/10.5 feet and the 8-11 is a perfect snug fit without feeling restrictive.